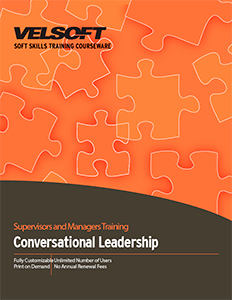 Seeing is Believing This sample manual to teach Conversational Leadership is in MS Word format. Looking for something new, exciting, and relevant to add to your training library? This conversational leadership training package is just the thing! Trainers love our customizable, easy to use materials. Check out a sample today and see why!